David A. Brewer works on the literary, theatrical and visual culture of the long eighteenth century, plus the history of authorship and reading more generally. He is also fascinated by the methodological challenges of writing literary history. Brewer is the author of The Afterlife of Character, 1726-1825 (University of Pennsylvania Press, 2005, as part of their Material Texts series) and the recipient of a fellowship from the National Endowment for the Humanities. His edition of Richard Brinsley Sheridan's The Rivals and George Colman the Elder's Polly Honeycombe came out in 2012 from Broadview Press. 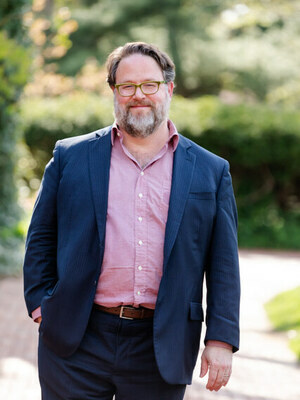 In addition to his solo-authored work, Brewer has been involved in two major collaborative projects in the history of the book: Interacting with Print: Elements of Reading in the Era of Print Saturation (University of Chicago Press, 2018) and The Book in Britain: A Historical Introduction (forthcoming from Blackwell). Brewer's current book project, The Fate of Authors, investigates the uses to which authorial names were put in the eighteenth-century Anglophone world. He is also in the midst of preparing another Broadview Edition, this time of two of Penelope Aubin's novels. In June 2014, Lynn Festa and he taught the summer seminar in the history of the book at the American Antiquarian Society. The Afterlife of Character, 1726-1825. Philadelphia: University of Pennsylvania Press, 2005. Richard Brinsley Sheridan, The Rivals, and George Colman the Elder, Polly Honeycombe. Ed. David A. Brewer Peterborough: Broadview Press, 2012. "The Tactility of Authorial Names." The Eighteenth Century: Theory and Interpretation 54.2 (2013). “Counting, Resonance, and Form, A Speculative Manifesto (with Notes).” Eighteenth-Century Fiction 24.2 (2012). "Rethinking Fictionality in the Eighteenth-Century Puppet Theatre." The Afterlives of Eighteenth-Century Fiction. Ed. Daniel Cook and Nicholas Seager. Cambridge: Cambridge University Press, 2015. This piece won the 2016-17 James L. Clifford Prize from the American Society for Eighteenth-Century Studies for “an outstanding study on some aspect of eighteenth-century culture, interesting to any eighteenth-century specialist, regardless of discipline."